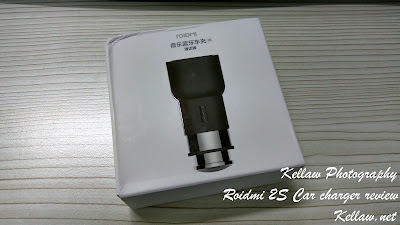 I was one of the lucky ones to get one of the currently crowdfunding(indiegogo) Roidmi 2s car chargers for review all the way from China. For those who does not yet know the brand, it's one of the Mi ecosystem companies. The slogan: Your ultimate bluetooth music player and smart car charger. Yes, they lived up to that with the number of mainstream car brands supported as I would explain further. For design, it was fill black which somehow gives it the classy leather look with the shiny Roidmi logo on it coupled with the shiny crome metal contacts. Upon plugging in, you would notice the port backlight which one could switch between colours.